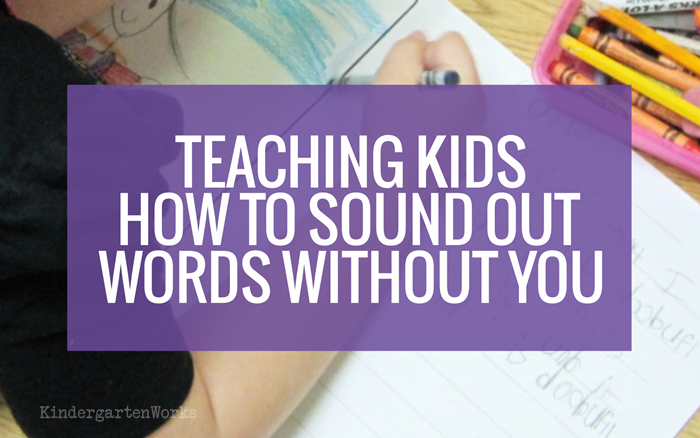 Teach kindergartners how to sound out words without the teacher. This can be tricky! Here are my top two tips on empowering your students to sound out words on their own. 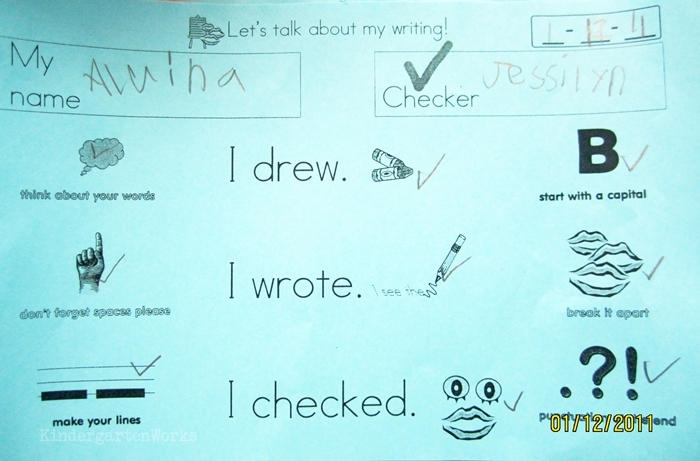 Any tips on how to encourage my kinders to independently write on their own? During our writing time they need a LOT of individual guidance from me. I try my best to get to each of them to conference but it is always time consuming. I encourage phonetic spelling, but they have a hard time breaking down each sound in a word. Any suggestions? p.s. I love your emails! They are a highlight to read each week. That’s a great question and I can relate to the struggle. I have two tips that might help. First off, let me say that you’re doing the right thing by encouraging phonetic spelling. You can expect sight words you’ve taught to be spelled correctly, but the rest should be phonetically spelled. Keep modeling it over and over and explicitly say what you expect from them. They will rise to meet your expectations. 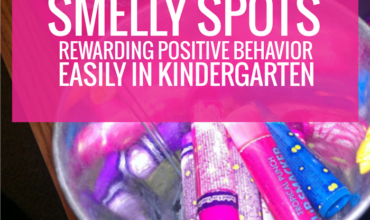 The first tip I have is to give your kindergartners a tool that makes them feel empowered to sound out words on their own. I’ve written a little bit about that in the past. Would you believe that all it takes is a rubber band?! I’m not kidding. Check out these segmenting and blending hand motions to read more about teaching students to segment words on their own. The cool thing is that this can totally work for learning to read too – not just learning to write. I let my students keep a rubber band in their pencil box at all times (and of course they had to use it responsibly just like a pencil, crayon or eraser, etc.). They use it to essentially feel the sounds in the word as they stretch the band. Praise the little gains they make in independence. If you can give them tools and teach them how to use them (in as many mini-lessons as they need) then you can point and guide them in those directions during writing time. You’re essentially giving them the nudge towards using strategies in place of simply asking you. Secondly, I encourage them to plan out their writing. 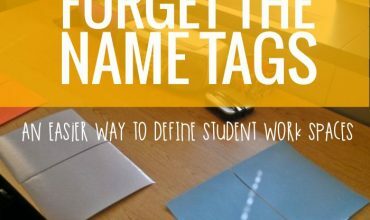 This is golden when it comes to turning responsibility to sound out words over to your students. More specifically, I teach them how to use lines plan out their writing. For example, they draw one horizontal line for each word they want on their page. These lines are where their “words” will go. If they only get the beginning sound (or however much they do sound out) that goes on that line to represent that word. Knowing they have something down to represent a word often will make most kinders satisfied and able to move on until their skills develop and they are ready to hear more sounds and get them onto the page per word. Using lines to plan out what they want to write is part of what I believe is a developmentally appropriate process for teaching writing. 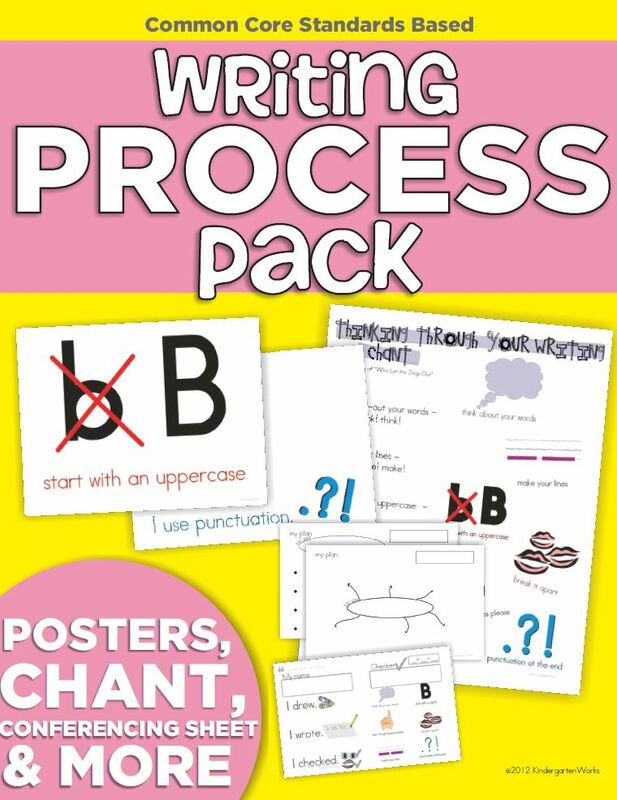 I developed a mini-writing system to encourage my students taking ownership over the process of writing. 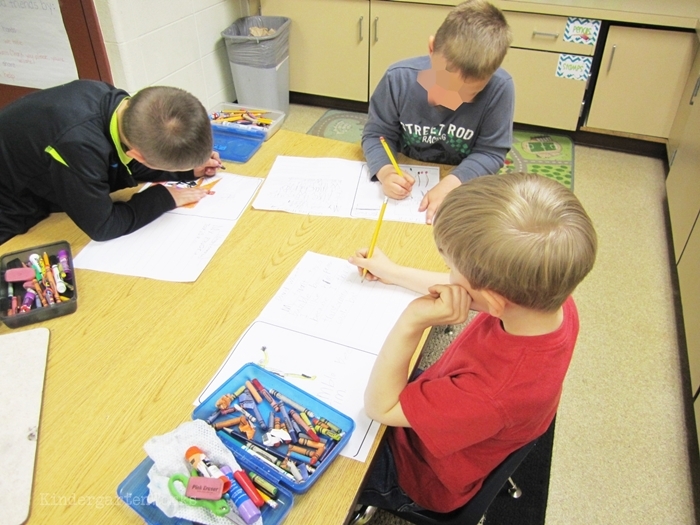 We teach them the steps, model them and help them learn to use them in their own writing. 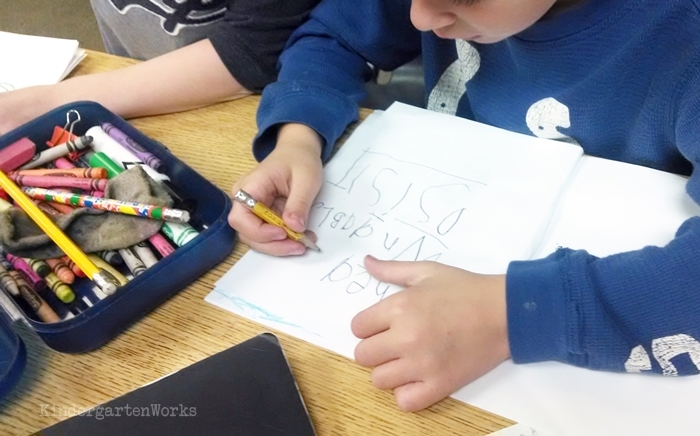 It’s simply called the Kindergarten Writing Process and it marries what beginning writers need with what the standards are asking them to do in kinder-friendly ways. Plus, I use a chant to teach them the steps so they can remember what to do on their own. 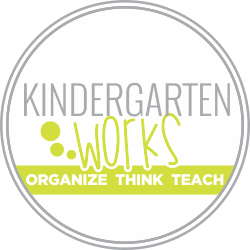 Your kinders can do it too! Do you have an old set of headphones lying around? 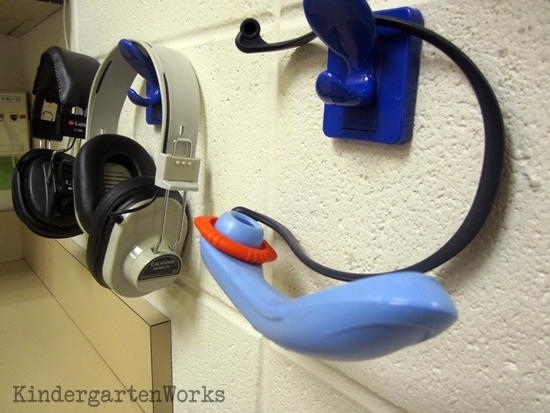 Check out how headphones can help kindergarten writers concentrate.